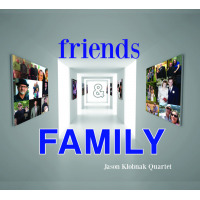 Trumpeter/composer Jason Klobnak is one of those artists who creeps up on you. 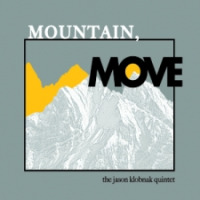 His debut recording, Mountain, Move (Self Produced, 2013), inauspiciously crossed my desk on its way beneath the laser, where it impressed me as just progressive enough to be interesting, but not so much to be a turn off. Klobnak takes the classic Miles Davis quintet format, shrinking it to a quartet by the using a Hammond B3 in place of piano and bass. The result is not Jimmy Smith with a trumpet and less grease, but more a Shirley ScottEddie Lockjaw Davis with the governing effect of a disciplined Lee Morgan. Even these are weak analogies given the 50-year difference between the recording periods. Klobnak has a definite vision for his music, one that is tightly arranged, leaving just enough wiggle room for inspired soloing. The trumpeter avoids any descent into a blowing session, an approach that can come at the expense of fresh immediacy and spontaneity. 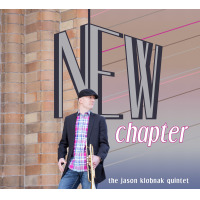 Klobnak navigates this trade-off by composing easy swinging pieces with freshly circuitous heads filled with hooks and earworms. These tunes are hum-worthy. Klobnak is joined by B3 specialist Jeff Jenkins who readily escapes the Jimmy Smith shade for something soft and refined, less frenetic and earthy as Smith with just the touch of the sacred feeling of Shirley Scott. The result is a very "clean" sound that incorporates tenor saxophonist Eric Erhardt and drummer Kevin Matthews to solid effect. The evidence is apparent on the up-tempo "Through her Eyes" where Erhardt begins his solo after the head, in grand hard bop fashion, as if falling from the back on a speeding truck and then proceeding into a well-developed and conceived solo statement. The group is equally adept at ballads as shown on "One for the Mother." Jenkin's has an ability to prepare and maintain a soft ground upon which the group can build its harmonic architecture. "Inception (It's Mike's Fault)" is this group's "Little Suede Shoes" with an added Cubano-Argentinian element to the mix. Klobnak is fully in his funky element in this brilliantly involved Latin piece. Such is how this recording is populated, thoughtful tunes anticipating the next release by this young artist.